Elementary School Field Day marks the end of the school year and the beginning of summer. Most elementary school students can’t wait for Field Day. It’s a time to show their school spirit, play games and be with their classmates for a day of fun in the sun! It’s definitely a day to remember. You can also create Elementary School Field Day T-shirts for your students to wear as they are enjoying their activities. T-shirts create a sense of unity, and the students love the idea that they get to keep something memorable from this special day. Teachers and parents also love wearing their Field Day t-shirts for this fun event. You can even have everyone sign one another’s t-shirts. 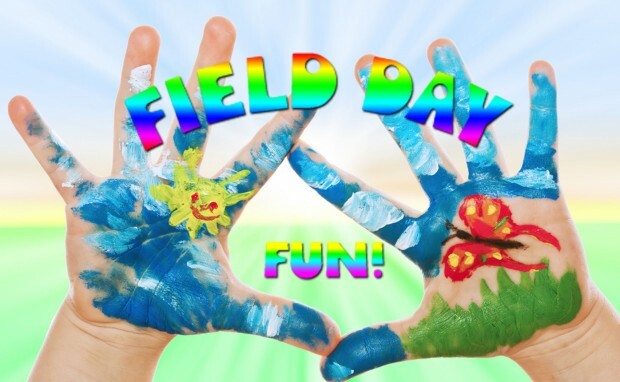 Create great Elementary School Field Day t-shirts by choosing fun, colorful, and kid-friendly Field Day t-shirt designs. Contact IZA Design and we will customize any of our Field Day designs for your school. Custom Field Day t-shirts are an amazing way to create a memorable event. Create Field Day memories to last a lifetime!